At Transperth, we take a very serious approach to passenger safety and security. An integral part of that is our Transit Officers who work to increase the safety of all our passengers right across the network. With close to 400,000 students travelling to and from school each day, our Transit Officers work towards getting everyone home safely. What is your role within the Public Transport Authority? I’m a Transit Line Supervisor with the Security Services Branch of Transperth Train Operations and I’m based at Fremantle Station. I’ve been with the Security Services for more than 20 years. What are your responsibilities within this role? The role of a Transit Officer is quite varied, my responsibilities include supervising a team of approximately 30 Transit and Senior Transit Officers operating on the Fremantle Line, conducting patrols of stations and trains, investigating customer complaints and offences, and helping all types of passengers use public transport safely and easily. What is your favourite part of this role? I enjoy the day to day challenges; being a part of a large network of people, and having a positive impact on the community by making people feel safer on the public transport network. It’s also pretty cool working out of a station that is over 110 years old. What is your least favourite part of this role? I suppose the thing I like least is seeing how a small minority of people disrupt the train system, either through antisocial behaviour or simply not being considerate of the passengers around them, which can have a lasting negative impact. Thankfully there are way more good people using trains and buses than bad. 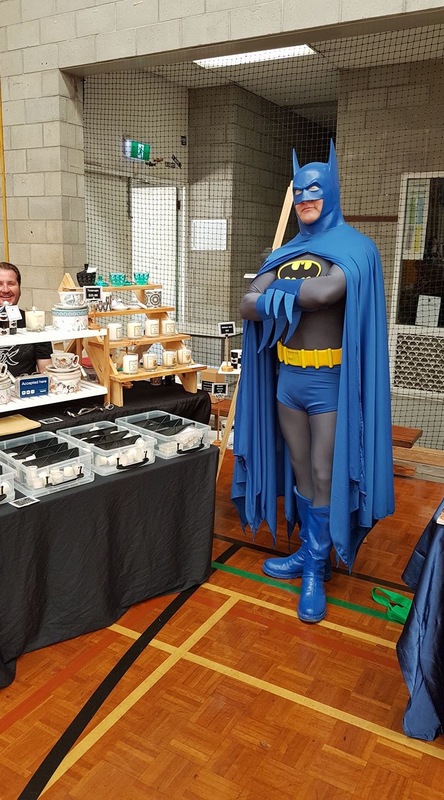 I like to spend time with family and friends of course, but I’m a big Batman fan and like to build costumes and go to pop culture events in the city when they’re on. What are your top 5 Tips for Safe Travel for Students across the network? Always make sure to tag on and off or buy a ticket. Be courteous and respectful towards others on the network especially if they’re crowded. Stay behind the yellow line until the train comes to a stop. Ask for help if you feel unsafe. Be aware of your surroundings and don’t get too absorbed in just looking at your phone.